When I first saw this photo, my mind leapt to the exotic — were they sensory tentacles, desert succulents, sea vent anemone? Nothing quite so glamorous or unusual I’m afraid. 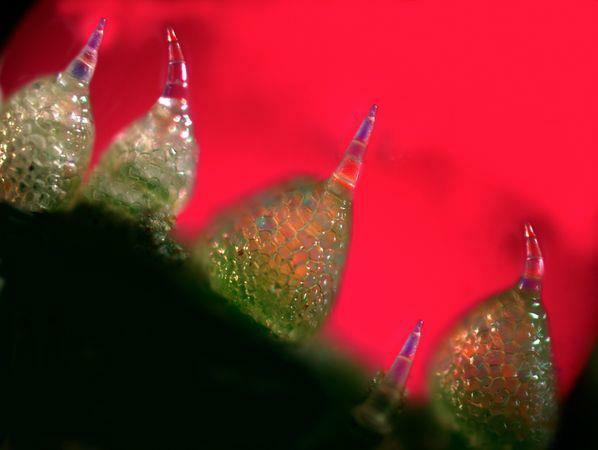 Simply a microscopic view of cucumber skin. Though such beauty hidden in full view seems all the more remarkable. In fact, maybe it’s a challenge to the meaning and existence of that word entirely. Copyright © 2018 Wonderchews. All rights reserved.